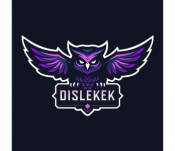 Grand final has been created: Dislekek Esports vs Team Synergy. Teams that have not ready'd up have been removed (0), final signups still open. So far 9/32 teams have joined. 23 places remain. We currently meet the minimum required teams for the tournament to proceed!. Registrations extended for an additional 8 minutes, tournament now starts at 7:07pm 13/11/18.